Architects and engineers have been appointed to work on the long-awaited £12m refurbishment of Rotherham Interchange in the town centre. 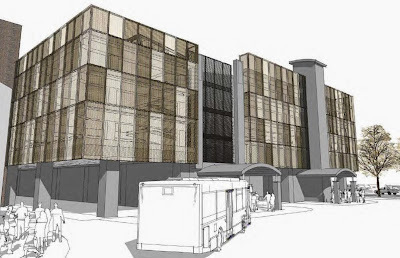 Partners decided last year to focus on refurbishing the car park and bus station rather than a large scale redevelopment. Following a tender process Jefferson Sheard has been appointed by the SYPTE as the architect with Barraclough English and Wright and ARUP to undertake the QS and engineer roles respectively. Works could begin in the Summer of 2017 and the estimated final cost of this scheme is approximately £12m including risk and inflation, but work on scope, costs and risks are progressing. £3m from the reserves of South Yorkshire's transport budget has already been put aside for the works and a bid for funding has been presented to the Sheffield City Region Combined Authority in December. 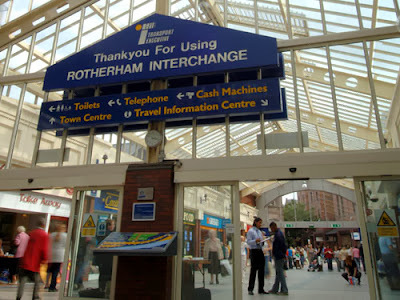 The draft capital strategy from Rotherham Council also included an ambition to invest in "Improvements to the Transport Interchange, to address current condition and public safety issues. The aim is to create a new, brighter, safer environment and address some of the issues around CSE in and around the existing Interchange." Opened in 1971, the multi storey car park on the site has since developed widespread defects and the existing tight spaces and drab appearance mean that occupancy levels only average approximately one third of its 678 capacity. The issue has been complicated by a fire at the site which caused significant damage to the interior of the interchange and impacted on services and reduced income from the car park. The work on the car park will now be combined with the refurbishment of the bus station underneath. The refurbishment project involves resolving a number of issues at the Rotherham Transport Interchange including the repairs following the bus fire on stand A6 in May 2016, structural repairs to the multi storey car park and recladding the upper part of the structure and a refurbishment of the bus station to improve its appeal. A works contract is expected to begin in the 2017/2018 financial year.